When will be Marvel Future Avengers next episode air date? Is Marvel Future Avengers renewed or cancelled? Where to countdown Marvel Future Avengers air dates? Is Marvel Future Avengers worth watching? Marvel Future Avengers is an anime series that follows Makoto, a young boy who gains superpowers due to an evil gene manipulation experiment. Makoto and other youths join the Avengers as apprentices named "Future Avengers." 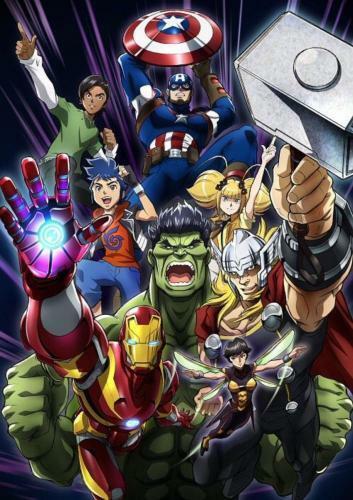 The anime will show Makoto and others as they train, fight villains and grow, under Avengers members Iron Man, Captain America, Hulk, Thor, and Wasp. Marvel Future Avengers next episode air date provides TVMaze for you. EpisoDate.com is your TV show guide to Countdown Marvel Future Avengers Episode Air Dates and to stay in touch with Marvel Future Avengers next episode Air Date and your others favorite TV Shows. Add the shows you like to a "Watchlist" and let the site take it from there.